Need lunch for an office meeting? Hosting an event at your house? We have you covered! We have lunch catering menus starting at $12 per person with boxed lunch and buffet options. Custom menus are available for evening events and wedding receptions. Check out our website for more info: mockingbirdnashville.com/private-dining-catering/ or email us: events:mockingbirdnashville.com. 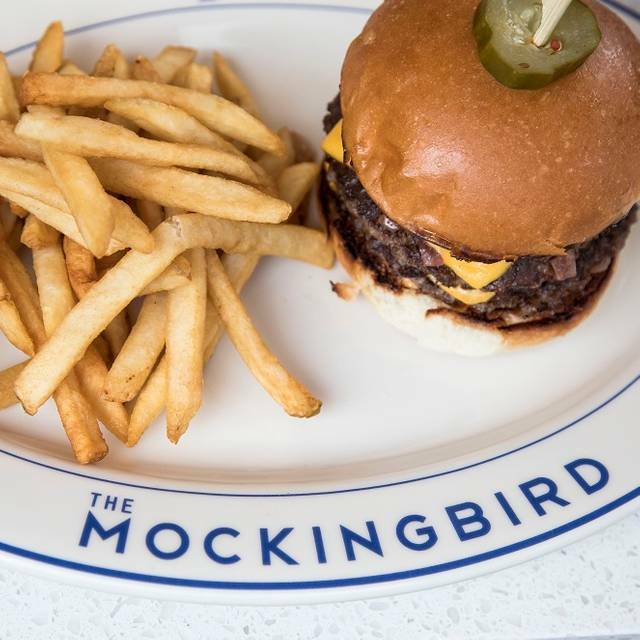 Let us bring The Mockingbird to you! 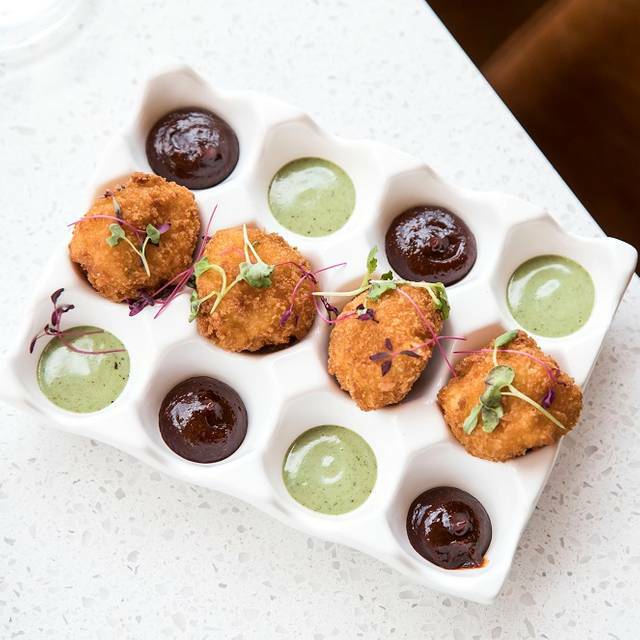 The Mockingbird is the much-anticipated new concept from Maneet Chauhan’s Morph Hospitality Group, the team behind Chauhan Ale & Masala House and Tànsuǒ in The Gulch area. 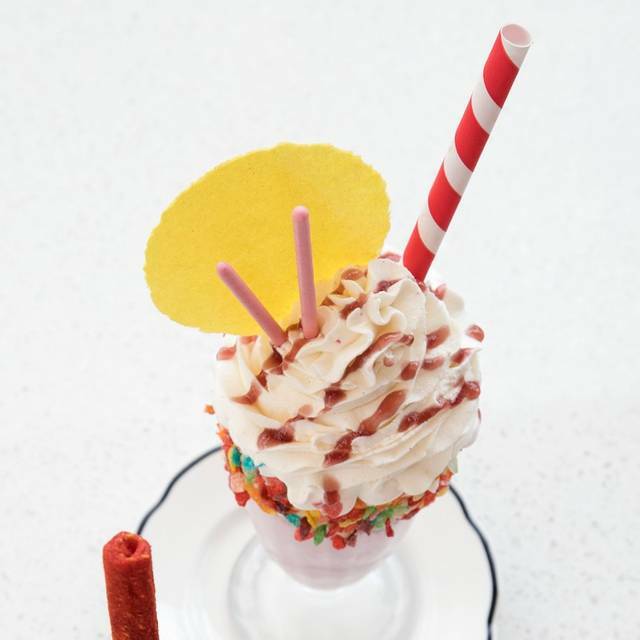 The modern diner is led by the talented culinary duo of executive chef Brian Riggenbach and front-of-house extraordinare Mikey Corona, who are also partners in the project. 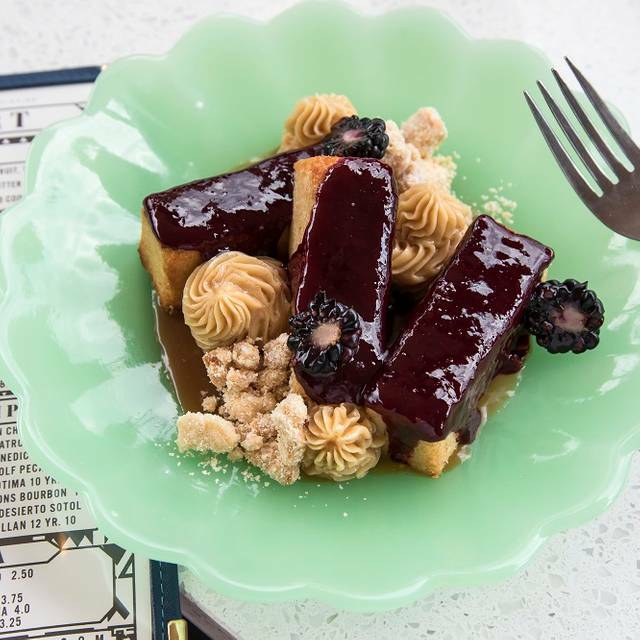 Inspired by the restaurant’s namesake, Chef Riggenbach has created The Mockingbird’s menu to mimic its surroundings, offering comfort food favorites influenced by the many global elements that make up American culture and cuisine. Went for a birthday dinner. The small plates were great. The entrees weren’t as good, but that’s just in comparison to the small plates. They were still good. The lamb chili tater tots and the Brie grilled cheese were awesome. 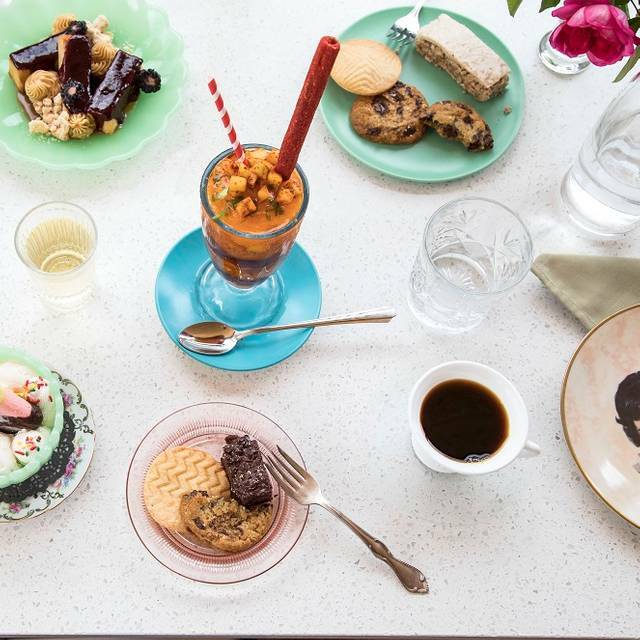 The deserts were good, but the best part of the meal were the small plates. The drinks were great as well. The waitress was still training, and only seemed to know about 1/2 the menu well, but did a very good job. Great attitude and very attentive. Will definitely be back. My family and I went for Easter lunch and loved it. Great food and drinks, service was excellent, loved the spot. The old-school lunch trays were a nice extra touch for the kids. If we lived in Nashville, we'd be regulars. They put us in a corner by the fire extinguishers and it seemed like we were overlooked. We seemed overall in the way and that was a little uncomfortable. The food was really great and our waitress was super nice. I just expected to be seated in a better spot for a birthday brunch. We arrived early and we're promptly seated. Definitely recommend the specialty donut to share with your table. Drinks and food were fantastic. It was a beautiful day for Easter Brunch and we loved everything about The Mockingbird! Will be back! Everything about this place was amazing. My wife and I are vegetarian and they even had a special separate menu. Our server, Ian, was polite and knowledgeable and the food came out quick wen though they were busy. I love the Mockingbird.. great food and hip venue! This restaurant was really hyped by a waiter at another excellent restaurant. I was so disappointed that The Mockingbird was not comparable. Way too dark, cold and rundown. Dishes and flatware were dirty. 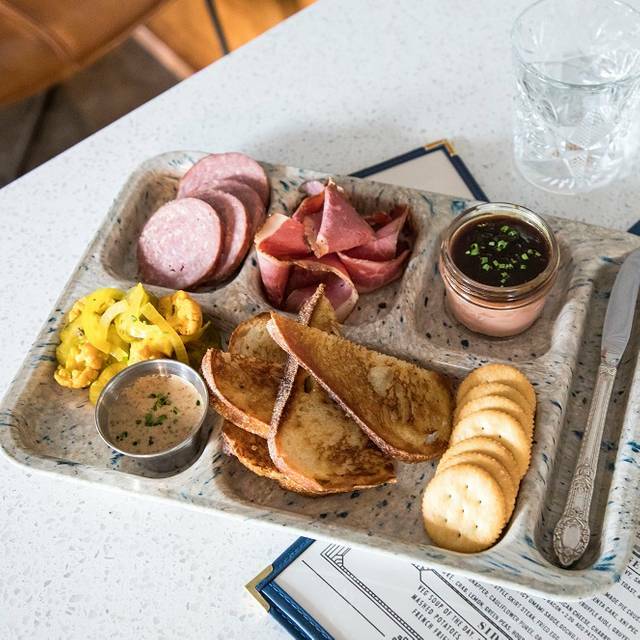 And, why do servers in Nashville put their fingers on the plate in the food? It’s like they’ve not been trained in serving etiquette. Would not recommend this place to anyone! Loved this place! You need to try the punch that comes in a bag. So cute! Everything was great! Our server was amazing and very knowledgeable. My second time back to mockingbird, the vegetarian Reuben is absolutely remarkable!!! Loved it. Went back the next night again! The place, ambiance and decor are interesting and eclectic. 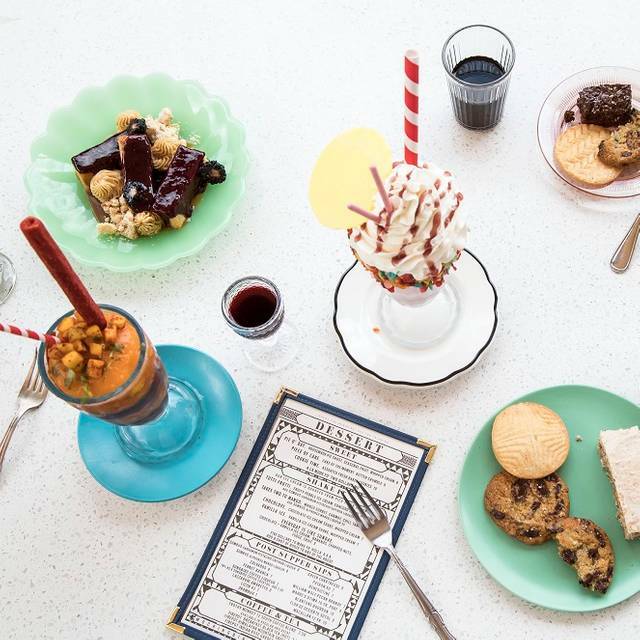 The menu at first glance seemed like it belonged in a diner, but look closer and the dishes and taste combinations were to die for. Our appetizers, entrees and desserts were sublime. 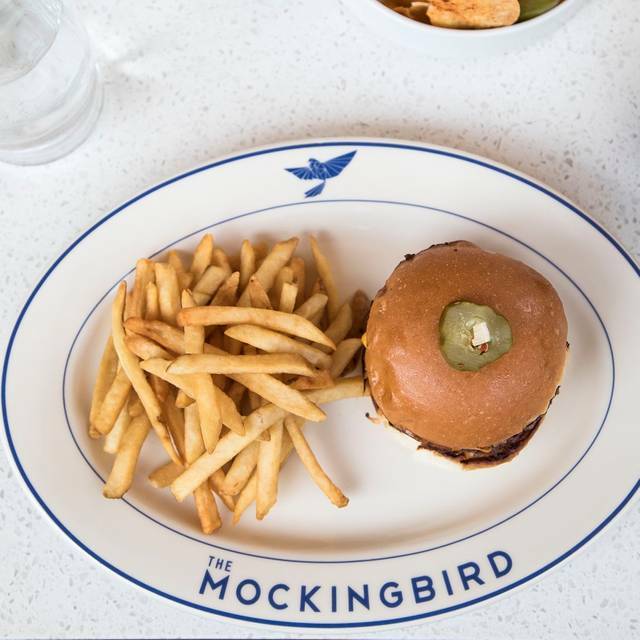 At a foodie level, The Mockingbird competes with the best. Could be a 5 star rating but,like others, we paid for parking. As for the food,taste was excellent but portions were minimal. My daughter NEVER finishes a plate of food but her entree was very small. She had the Gnocchi.For the price it could have been double the size.Dissappointing to pay a good price for dinner and go home hungry. Our first time to the 'Bird was awesome. The decor was fabulous. The restaurant is beautiful. I loved the the way the menu is written. Nice vibe. All good but everyone enjoyed especially the clams. Good value. 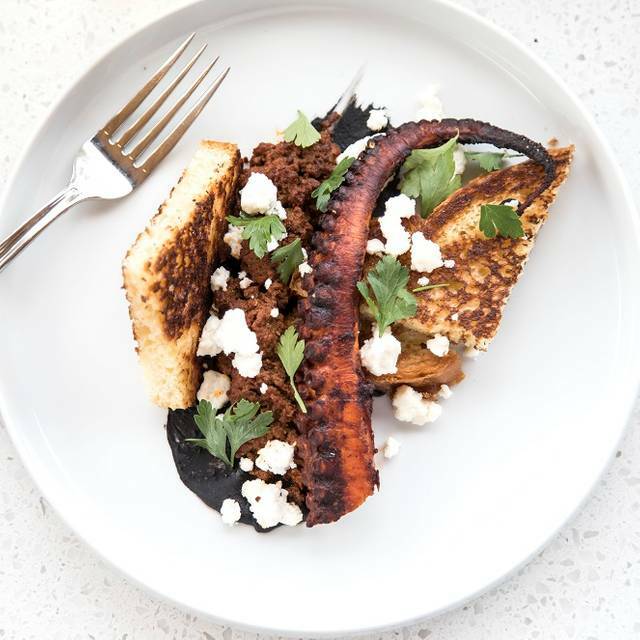 Creative dishes, reasonably priced with a staff that compliments the brand of the restaurant. Loved it! Great service and atmosphere! Food was amazing.! Fun restaurant, great food. Not an extensive menu, but adequate choices. Tends to be noisy. Service is always friendly and good. Great dinner. I had the rainbow trout. My daughter had chicken. Friend had duck. All very good. Be sure to try the tater tots with lamb chili! The food was delicious. I was in heaven eating the brussel sprouts! At first I was thinking ‘jam?’ these chefs are geniuses! The cocktails were also creative and amazing. Server was outstanding. The food was fine, but not as good as I would expect for the price. Nice atmosphere, would be willing to try again one day. The food and service were wonderful! Our server was kind and friendly and I was super-impressed by her. The only complaint I could possibly have is that our food took quite a while to come out. While I'm patient and understanding of a busy restaurant, I feel like 30+ minutes to get the entrees was a touch too long. Once we received it, it was amazing! I had the Seoul Purpose and my mom had the Bird is the word. All of it was prepared perfectly and so tasty. I may have to go back just for the Bird. Food and drinks were perfect! Exceptional service. The food was wonderful! Hi Taylor! Thanks for the feedback. We apologize on your servers behalf for the check snafu. We look forward to your next visit! You are super! Thanks Julie! An excellent date-night spot. Wonderful food and a romantic atmosphere. Very nice decor and menu but we had to ask after 20 minutes of sitting if our table had a server. Hi Alicia! Thanks for the review (and we're sorry about the mix up of servers during your visit). Hope to see you back soon! We had a greater server who was knowledgeable and informative. Great restaurant. We will definitely be back. Service was great. Food was tasty and healthy. I fall in love with their appetizer Tater Tots after 30-years lonely years. The only problem was the parking, it's because of all the construction, which looks to be temporary. Hello Thomas! Thanks for the 5 stars! We are aware of what a headache the parking situation is around us, and we are thankful for our guests that can see that it is temporary (and beyond our control). Please note, we do offer complimentary parking for dinner and weekend brunches for our guests. See you soon! Everything was great except for parking.... you have to pay to park at lunch because lots are full of construction workers. Went for lunch on Thurs. the parking was a nightmare. The (unpaved) parking lot was full. Had the parking a pay lit down the street luckily it was only $7 for 2 hours but I got the last spot in that lot. Our server said she couldn’t find a spot when she came to work this morning. Had to walk several blocks. With that said the food was good and not your standard fair. I’d go back when they have valet parking, though I have no idea where they park! Unfortunately parking is getting worse & worse in Nashville. Hate to think what it would be like on weekend!!! Amazing food, drink and ambiance but the server was rude and unhelpful. She seemed annoyed to wait on us, was slow and when I asked to box up my cookies dessert so we could get to our Ryman show, she actually put the ice cream in the to go box. Why? !